I Got Your Silver Lining Fine Jewelry is offering this investment grade, lovely Argyle Fancy Pink & White Diamond Cluster Ring. 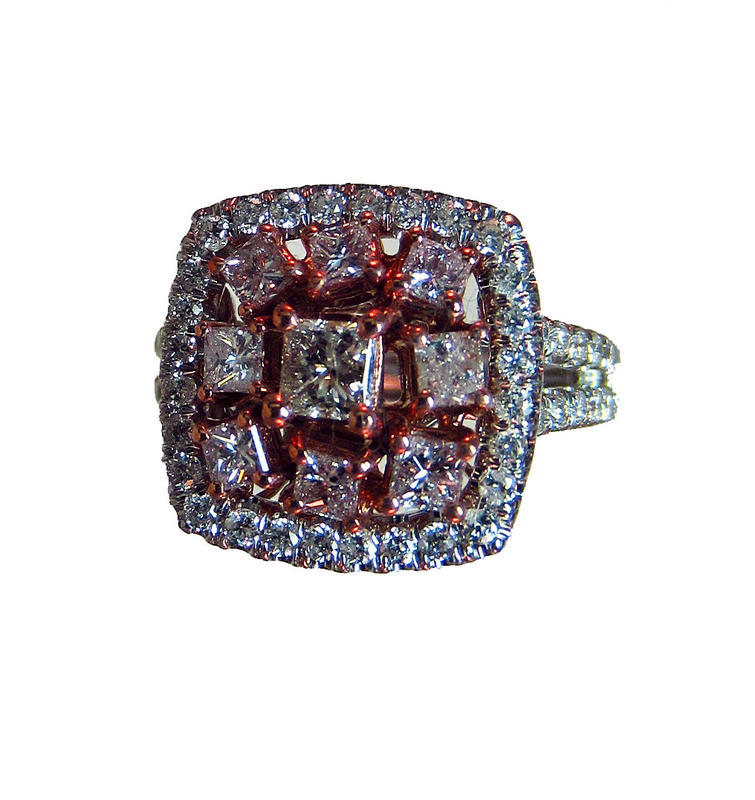 This Argyle Mine Cluster ring includes large pink diamonds, 10 to 12 points each. This fashion forward ring includes crystal clear round white diamonds. All diamonds that are all clean & clear. Color: Fancy Pink (fancy colored diamond); White diamonds - F Color. Click the button below to add the Argyle Fancy Pink & White Diamond Cluster Ring to your wish list.